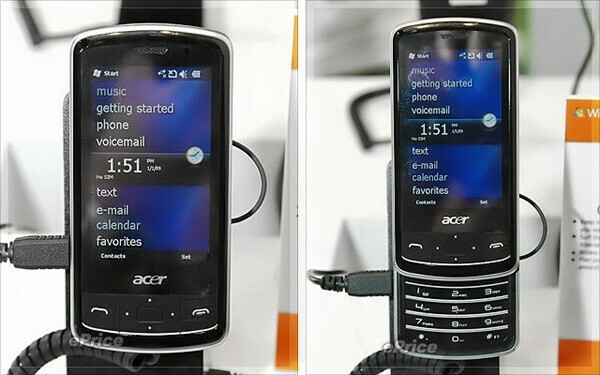 Acer has managed to pleasantly surprise us with both the models showcased at the MWC 2009 earlier this year and their X960 that we have already reviewed extensively. More details on the two phones have just got disclosed at Computex as well. 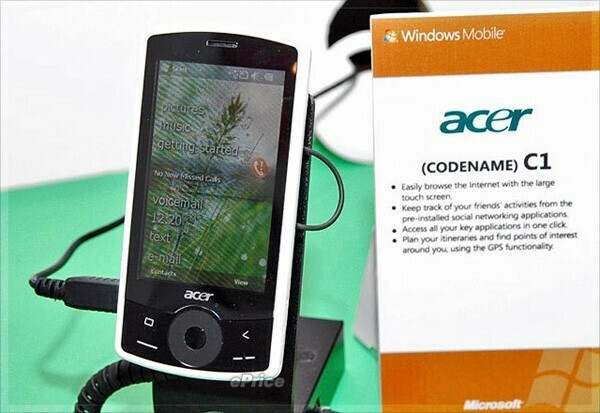 These devices, code-named L1 and C1 will be running Windows Mobile 6.5. The L1 will be a slider featuring 12 digit keypad, while the C1 will come equipped with touch sensitive screen taking up its whole face side, 528MHz processor, 2-megapixel camera and GPS plus built-in support for social networks. Displays are expected to measure 2.8 inches each with WQVGA resolution and both handsets are hitting the shelves in Q4 this year. We still don´t have any specific information about the retail prices, but we suppose you will not need to break the bank to get either of them.